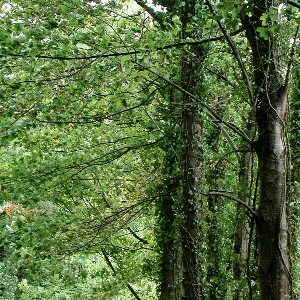 This tree, native to the European continent, is normally encountered only as planted specimens in demesne woods or other deciduous plantations. A variegated form is sometimes grown in gardens. 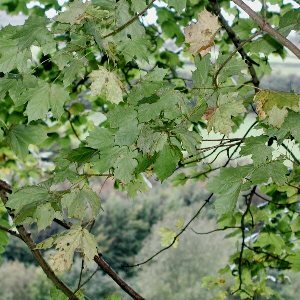 It has some similarity in leaf-shape to the plane-tree, but its leaves are arranged in opposite pairs like the sycamore, and it has sycamore-like fruits. Self-sown trees are occasionally found. All names: Acer platanoides L.